If you have any questions or want to enquire about dates, use our form to contact Jannick Blavier or see their website for more information. This peaceful ‘Manoir’ is a harmonious home surrounded by parkland and field. Set in a small village, it was built in 1928 to replace a château destroyed in WWI; the Vimy War Memorial is close by. Light pours in through Art Deco windows and interiors have been enhanced by Madame’s modern good taste. Sofas face a cosy log-burner in the monumental hall, bedrooms are immaculate (satin sheets, electric shutters, smart antiques). On the first floor you can step out onto a terrace and sit in the sun, enjoying the view over the park. Wake to wonderful breakfasts with plenty of choice at a table set with porcelain: charcuterie and cheese from local farms, yogurt, jam, homemade cake and juice, viennoiserie, freshly-baked bread, cereals and fruits. Light dinners are served on a tray in your bedroom or sometimes in the hall in front of the fire – or it’s just a five-minute drive to a restaurant. Charming hosts offer bikes and umbrellas; Arras with its famous Grand Place is 15 minutes’ drive; historic, lively Lille, with its clutch of botanical gardens to roam, is half an hour. It’s a luxurious stopover en route to Calais too. Parking on-site. Children over 10 welcome. 15 August to 28 August. Dinner by arrangement, 3-courses with aperitif, €28. Restaurants 10km. Janni is a wonderful hostess, the house is absolutely stunning, beautifully and tastefully restored. We had a dinner tray of homemade local dishes in front of the fire, which was delicious and excellent value. Breakfast was excellent and Grandma's homemade jam a real treat. 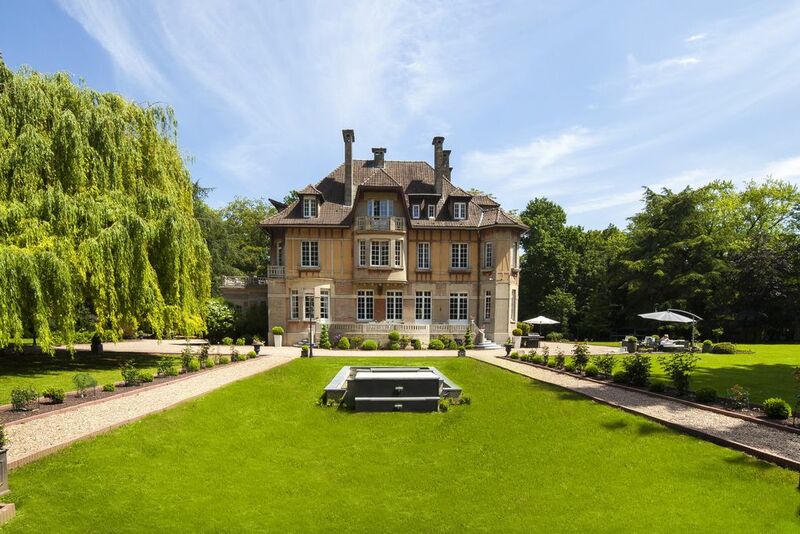 We would definitely recommend Le Chateau as a romantic stop off or to visit the local area. We visited Vimy, Arras and a number of memorials nearby. Thanks Janni, we'll be back soon. From Lorette to Vimy (10 mn drive), you can travel along the Remenbrance Trails.Discover major First World War Remembrance sites ten minutes drive from Le Château. You can visit its remnants, numerous museums and military cemeteries. Disover the Louvre Lens, the prestigious Paris museum settled in the heart of the old coal basin, on a former colliery, nestled between mining mountains and Bollaert Stadium. 12mn drive. Visit Arras (13 mn drive) ! How lovely the town is at night! The main monuments in Arras are bathed in light, showing themselves to their best advantage and offering you yet another excuse for strolling and reverie. The Wellington Quarry, Memorial of the battle of Arras. 20 metres below the pavements of Arras, discover the Wellington Quarry, a site immersed in memory and emotion.